Derek Hough is an American dancer and actor. He is probably best known as a professional dancer on ABC’s Dancing with the Stars which he has won six times. He has won two Primetime Emmy Awards for Outstanding Choreography including one in 2015 which he shared with his sister Julieanne Hough and Tessandra Chavez. 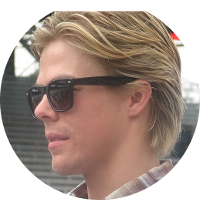 Derek Hough has French-Canadian ancestry and it is through this part of his family that he has a number of famous kin. His famous political kin include former U.S. First Lady and Senator Hillary Clinton, and Canadian Prime Ministers Pierre Trudeau and Justin Trudeau. Singers in his family tree include Madonna, Celine Dion, Justin Bieber, and Meghan Trainor. Actors and actresses with a kinship to Derek Hough include Chris Pratt, Paget Brewster, Dax Shepard, Kelsey Grammer, and Mark Wahlberg.